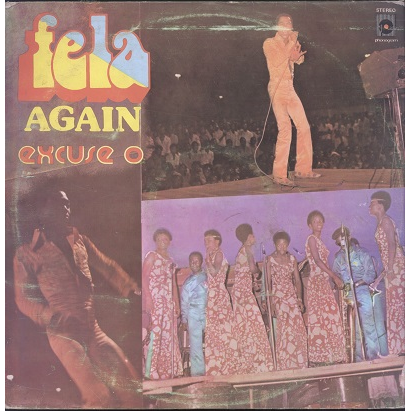 Rare Fela album on original Nigerian pressing. Solid VG / weak VG+ sleeve has seam wear and light ring wear, some discoloration. Solid VG+ record is shiny with light scuffs and faint hairlines. 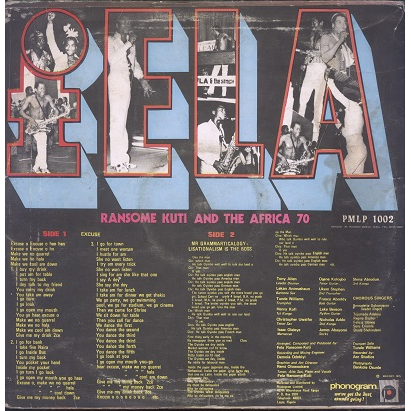 Plays nicely except for some surface noise at start of side 1. Solid copy!